Ohhh...was für wunderschöne, zarte Schmetterlinge und dann auch noch in meinen Lieblingsfarben! Herrlich. 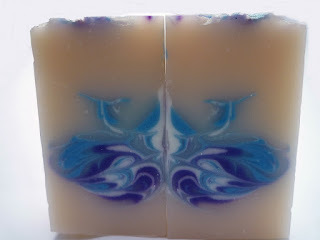 So, citric acid I used first, to make a soap a little bit transparent. The second reason is to prevent a rancidity of the soap. And at last to have a better texture of the soap. I use no more than 2% of the citric acid. Would love to try thsomething! ! Wgere would i go or look for material on this?